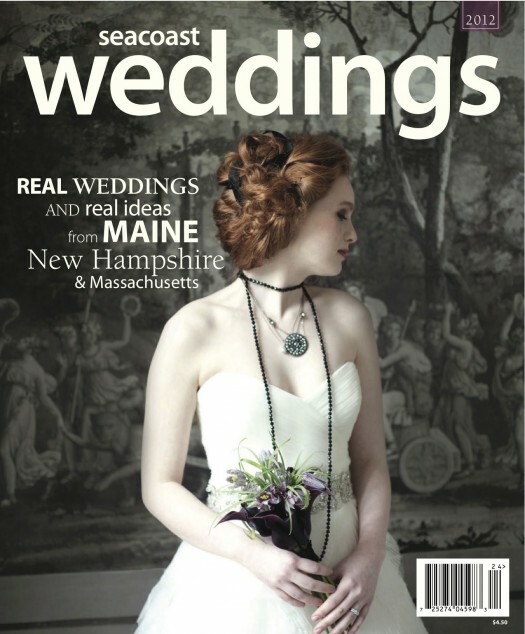 How over the top excited am I to see Beautiful Days’ work on the cover of the winter issue of Seacoast Weddings?! Last spring fantastic wedding photographer Geneve Hoffman reached out to me about collaborating on a shoot at the historic Wentworth Gardner house in Portsmouth, New Hampshire. As soon as I saw the house there was NO way I wasn’t going to have a good time in there! The architectural details are amazing and the house was a wedding gift in 1760 – how perfect! Geneve and I gathered an amazing team of seacoast wedding professionals and created a wedding inspiration shoot that included three looks and all kinds of fabulous details. 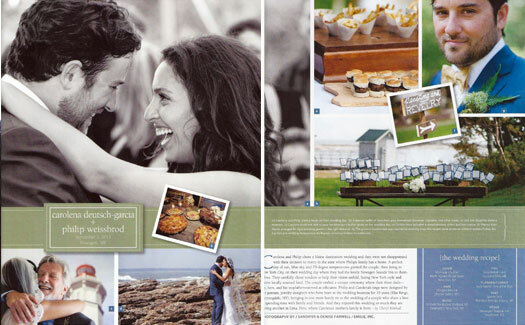 And bonus – a fantastic Beautiful Days Newagen Seaside Inn wedding is featured as well! Meg Simone was on hand to capture all the behind the scene details – be sure to check out the film from Meg Simone here. And you can see more of the shoot here on Seacoast Weddings’ website. The shoot wouldn’t have been such a success (and so much fun) with out all the wedding professionals who lent their time and creativity! Beautiful Days: Design, decor, styling, flowers and select bridal accessories. 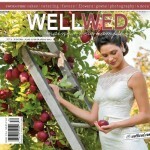 Wentworth-Gardner: Venue…be sure to check out the website for info about having your wedding portraits taken there. Bonus! 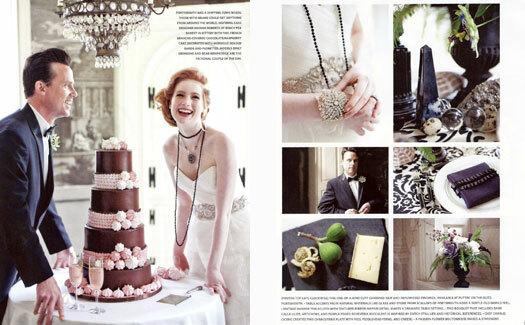 One our favorite weddings from 2011 was featured in the real weddings section of the magazine as well! Carolena and Phil’s gorgeous Newagen Seaside Inn wedding was full of beautiful details set against a perfect ocean side backdrop. Beautiful Days worked with the couple on select planning, day of coordination, design, flowers and decor…all perfectly captured by J of Emilie Inc Photography. We’ll be sure to post more photos soon! 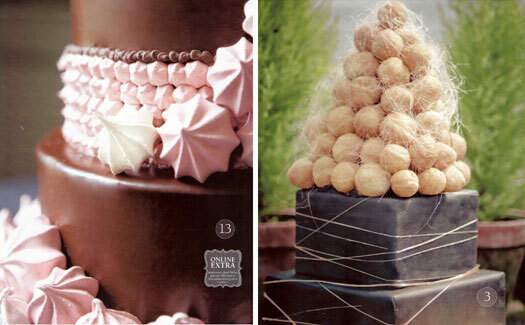 But wait there’s more….LOVE the sweets creations in the cake feature…the detail of Beach Pea’s drop dead perfect cake from the Wentworth shoot and the spectacular croquembouche creation from Wild Orchid Baking Company for the Snug Harbor Shoot inspiration shoot Beautiful Days did along side the super talented photographer Heidi Lynne of White Loft Studio. 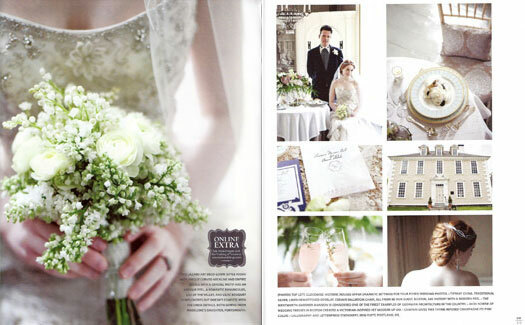 PS – a beautiful Days bouquet was on the cover of last years issue too! Check it out here! Whew! 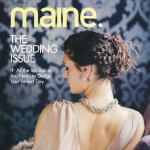 That’s a whole lot of Beautiful Days…many thanks to Seacoast Weddings for putting out a gorgeous magazine and for highlighting so many of the seacoast areas best wedding professionals. Thanks Kate! That looks great…what a fun time with all those Georgian hallways and details…great to work with so many wonderfully talented local wedding creatives too. 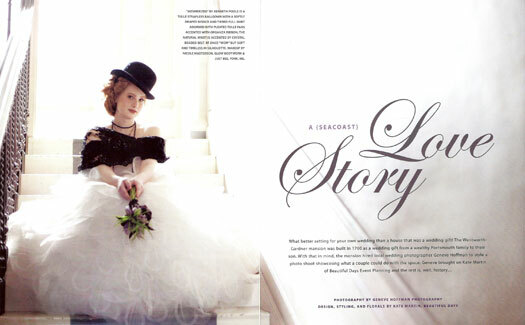 Hope brides find inspiration…I personally LOVE a historically inspired wedding.